The words of Abraham Lincoln still linger that “democracy is the government of the people, by the people, for the people.” Over centuries, in the quest to solve as many societal problems as possible and to ensure socio-political stability and also reflect the desires of the people, many systems of government have been tried and tested. Democracy appears today as the most popular and most preferred system of government that meets this quest. It is worthy of note that a democratic society is a hybrid of the family institution and the political institution, this is because the family is the nucleus of the society and every individual in the society is a product of a family and individuals are the players of democracy. Therefore, when family values are excluded in politics, democracy must fail. The United State’s Republican Party is an example of a political party whose ideology is well-known and cemented along the lines of family values and nationalism. Nigerian political parties must have ideologies everyone is familiar with, parties springing-up overnight for the purpose of being a platform to win elections must stop. Democracy as a governing system has many constituents that must be in place in order to make it function appropriately; this includes political parties, an electoral umpire, a constitution and so on. When all is in place, an election must take place and a ruling party and an opposition party must emerge. Without an opposition party, the people can be forced into frustration in the long run if their will is not being reflected, the social system becomes a pseudo-dictatorship and the social stability democracy is intended to create will be defeated. The society will be forced to a state of anomie after a long stint of societal tolerance which portends “when there is no choice available, the available becomes the choice.” Frustration leads to aggression and in most cases the frustration of the people aggressively topples the subjugating government of the day. A typical and recent example is the Arab Spring which toppled repressive governments in Egypt, Tunisia, Libya and some governments in the Middle East. Global leaders must begin to study why nations fail; for a government to collapse, so many things must have gone wrong over many years, governments don’t just topple and it is not an easy process at all. Most times, lives are lost and series of protests and violence must have taken place. The defiance of sit-tight leaders do not make things any better, the after-effects shows how influential a single leader can shape a social structure. 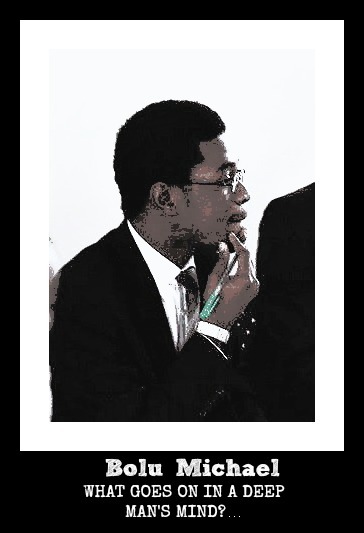 Therefore, Africans and indeed Nigerians must begin to take the process of choosing leaders very seriously and get it right first time. From these few points, we can see that the existence of an opposition is crucial in sustaining democracy. Nigeria has enjoyed 16 years of non-stop democracy, it is a good thing that our democracy is fast-maturing. To make it more lucid, a 16 year old child is mature enough to make certain important decisions and decide what he wants to do or become in life. Same applies to our democracy, we are at a crucial time whereby we have to determine as a people what we want our democracy to become in the nearest future. With the wind of change across the country and the peaceful transition from a party to another party, there is no better time than now. The people have a sacred duty of expressing their will by voting and this is the biggest assignment, what protects this will is the opposition in place, this is because the people have their reasons for voting a particular party and the roles of the governing party is automatically cut-out. The role of the opposition is not to oppose every position but to make propositions. Opposition parties must criticise constructively and if they don’t, they do so mala fide and will destroy the democracy they are meant to protect. They must remember that a failed democracy will put them out of job and that an opposition today is a potential incumbent tomorrow. I believe the pressure is more on the opposition party than a governing party in a boisterous democracy. The opposition plays a preventive role while the governing party plays a curative role. The opposition is meant to prevent democracy from collapsing while the incumbent government is meant to find a cure to the people’s challenges. Prevention is better than cure and being an opposition is not necessarily a lonely walk in the desert. 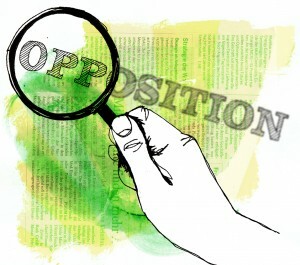 An opposition is not in place to criticise for the sake of criticising because they believe that is what the public expects, they are meant to sit down, do their own concurrent policy research and at all times present a better alternative to the people, doing this consistently will allow them stand a better chance of becoming the governing party in the next election. An opposition must be mature, confident and secure. They show this by giving the governing party their props when necessary and appropriate, they must be able to do so without contradiction, admitting that a governing party took the right decision on an issue does not mean the public would begin to prefer the governing party more, instead, it shows that the opposition is objective, honest and can be trusted and this public confidence can extend to the people entrusting their votes to them in the next election. An opposition must be magnanimous enough to agree with the governing party on certain issues especially those that involve the sovereignty, unity and sacred honour of the nation. A typical example is the issue of the secession of Scotland, during the referendum campaign, Ed Miliband the leader of the Labour Party in a speech made it clear that he agrees with David Cameron the Prime Minister and leader of the Conservative Party that Scotland should remain a part of the United Kingdom and they would work tirelessly together to achieve that common purpose even if a united Scotland is the only issue they would agree upon. They worked together to achieve this and the people voted to have Scotland remain a part of the United Kingdom. The lesson from this is that, there are times when the opposition must cooperate with the governing party on salient issues when it matters most especially when it poses an imminent threat on the sovereignty and unity of the people. An opposition party must oppose with conscience knowing that they may be the ruling party one day and at no time should they make inflammatory or divisive statements especially along religious and tribal lines, this is because these two are the opium of the people. When an opposition party slanders the image of leaders of the governing party for instance, it threatens the stability and cooperate existence of the nation because so many people pledge their allegiance to these leaders and will do anything for them, inflaming the polity with slander and propaganda therefore is inflaming their loyalists especially those at the grassroots level who are ready to take to the street. Unfortunately, Nigeria is currently healing from the spate of this kind of dirty politics. Our politicians must begin to be nationalistic with their ambition, a nationalist thinks of the nation while a politician thinks of the next election. Our democracy has a long way to go, we are still teenagers not yet adults, it begins with our political parties having ideologies and recognising family values as part of the democratic system, this is what sustains democracy and keeps the polity clean, when these values are embedded in individual politicians, politicians won’t do certain appalling things we watch and read about. When family values are excluded in politics, democracy must fail.